i remember as a kid i was confused why my cousins in mexico would need to hold on to glass soda bottles and take them with them when they went to buy a new one. i think we really do need to do this as much as we can. im in the packaging industry (print side) and this more than likely would reduce business but i think its the right thing to do. i dont like that my job is basically to create trash, or put lipstick on trash. Color me cynical, however, this reads like they're setting the foundation for a green washing campaign. Will these corporations pick up competitor's containers? Will we see municipal recycling collectors fighting with private collectors over who takes away an empty shampoo bottle? IMHO, this is a well intentioned but misguided initiative that will have zero effect on global plastic pollution. 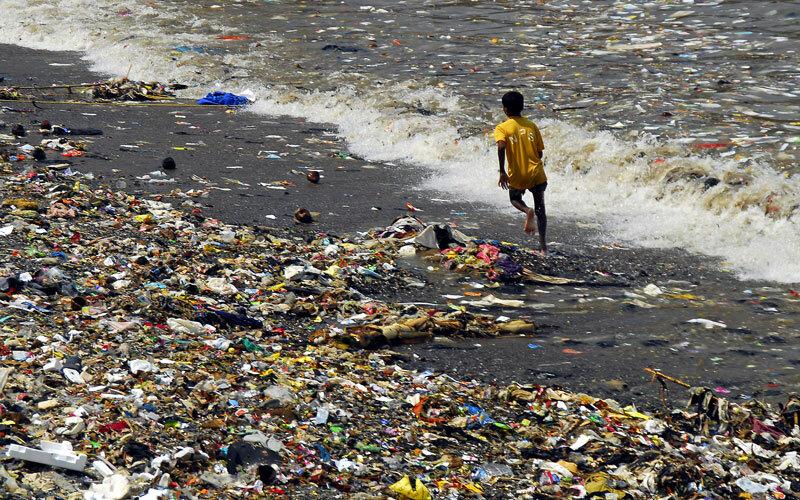 Some 95% of the plastic polluting the world's oceans comes from just 10 rivers - eight of which are in Asia, one in India, and one in West Africa - where rivers are used for waste disposal - a literal waste stream. The problem of plastic pollution is a people littering and waste disposal infrastructure problem. You just have to visit countries in southeast Asia, or even most large US cities, like San Francisco to see that for yourself. Brand owners should be concentrating on their packaging designs in order to reduce the initial waste, make use of recycled and recyclable materials, and minimize over and/or unnecessary packaging. Last edited by gordo; 01-25-2019, 12:58 PM. good points like always. im being optimistic about this. I think this is key, i would prefer that there is a single company that is gathering the containers regardless of if its coca cola, pepsi or 7up bottles. if each brand owners makes their own service then i dont think this will take off. more importantly i think having this as an option in-store would be great. swap in your old containers and get whatever you want. i understand that the majority of the problem is centered in asia but like you said, even big cities in the U.S. have a problem with pollution. i think having containers that are made from metals or glass is good for the environment. everything being plastic or worse, plastic film is not good in the long term. isnt that what this is?? but instead of stopping at a package designed to be reusable they are providing a way to actually reuse it. unnecessary packaging...yeah i agree completely. how is that coke can in a plastic container real? what sense does that make???? I think that this is a great approach to solving the problem at least in the United States/first world countries. However, it does seem more on the money-motivated side of the spectrum than the green-motivated side. That being said, I think there are a lot of efforts that are not actually effective, but this has potential. this is true. im willing to pay a bit more for these products if i know they reduce waste. what ive been thinking is that maybe some of these products are completely unnecessary. maybe they can be replaced with household items. im thinking mostly the wipes but im sure there are some other examples. it would be a shame if this stopped at "first world" countries though. hopefully there is a plan to expand something similar to all countries. Why not charge a deposit fee for plastic containers. It might encourage people to return the containers for recycling and for those that don’t, the deposit could help pay for cleanup. In NA empties are collected by homeless folks and returned in order to get the deposit and supplement their income. In developing countries it would provide an incentive for people to not trash containers as well as give needy people a source of income. It also means that plastic containers would be more expensive than non plastic and thus encourage the use of non plastic containers by manufacturers and their competitors. BTW, judging by the amazing number of views this topic has garnered I see that this is a major concern of forum members. Last edited by gordo; 01-30-2019, 12:25 PM. not a bad idea. i think the deposit system would definitely be good. nothing moves people more than money.